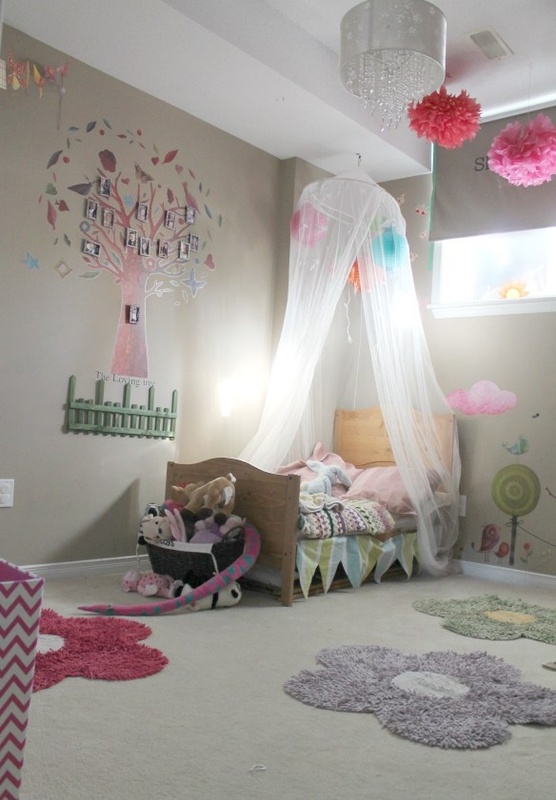 My kiddo just moved into a big girl bed (more about this and how i’ve grown a third ear in a later post) and when we set her new room up there was a blank space on the wall that I could not think of how to fill. wall decal check! check! and check ! hair bow holder check ! family and friend photos check ! I couldn’t think of what might add to the space but not overload duplicate what was already there. I was at a local arts and crafts store and they had a giant sale. So much on sale for .50 ! well i suppose everything is relative isn’t it ! 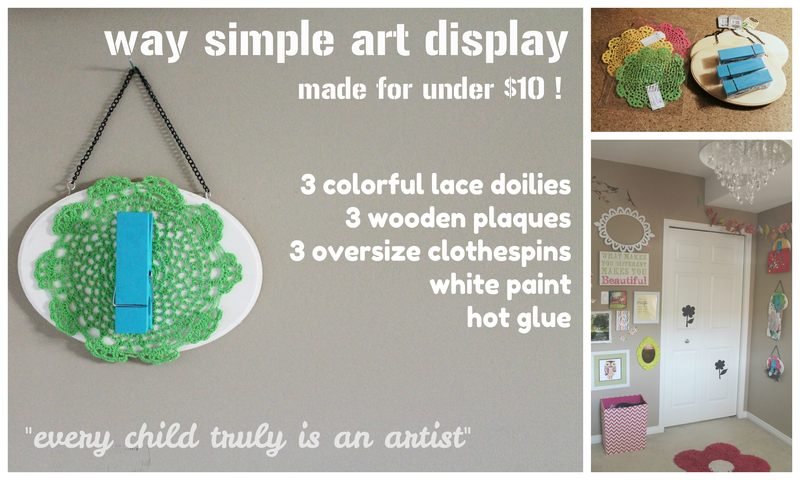 For me, everything I mean there was lace crochet doilies, giant clothespins, wooden plaques…I felt an idea coming on and was excited about it. An art display area for my kiddo was just what her room needed ! Are you ever inspired by super steals you see when you are out and about ?